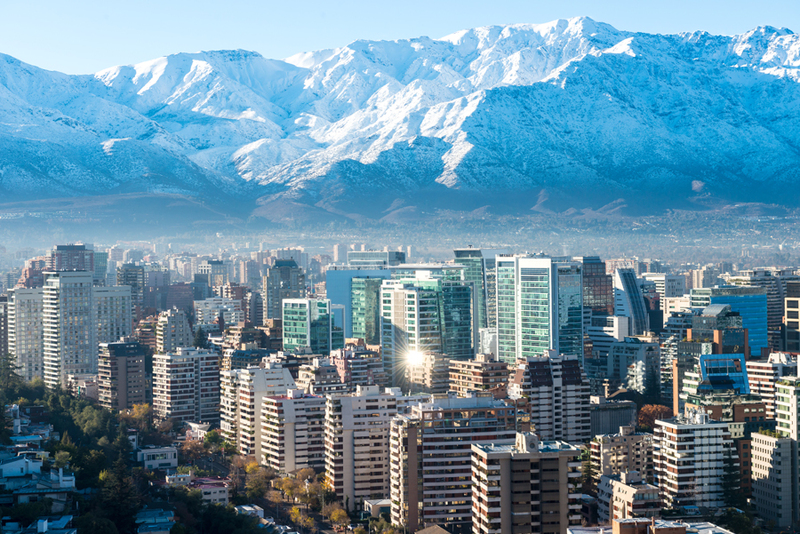 David Miller has once again been in the city of Santiago de Chile to participate in a trade event that aimed to connect service exporters and buyers from different markets across Latin America, North America, Asia and Europe. The second visit so far this year was to attend the Enexpro Servicios & Industrias Creativas 2018 event held on 3rd and 4th October, which aimed to “support the internationalisation of innovation”. 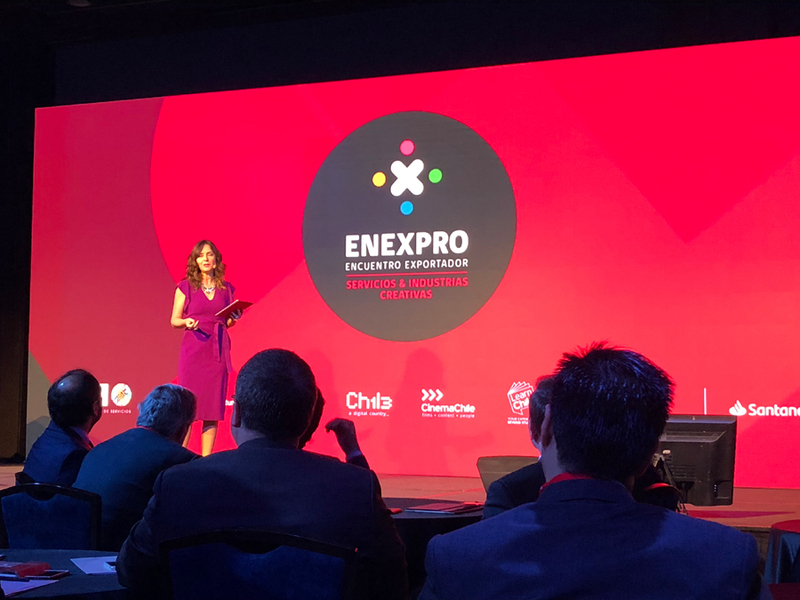 Organised by ProChile, an institution tasked with promoting goods and services exports for businesses in Chile, the event presented an interesting mix of creative industries with a technical bias. 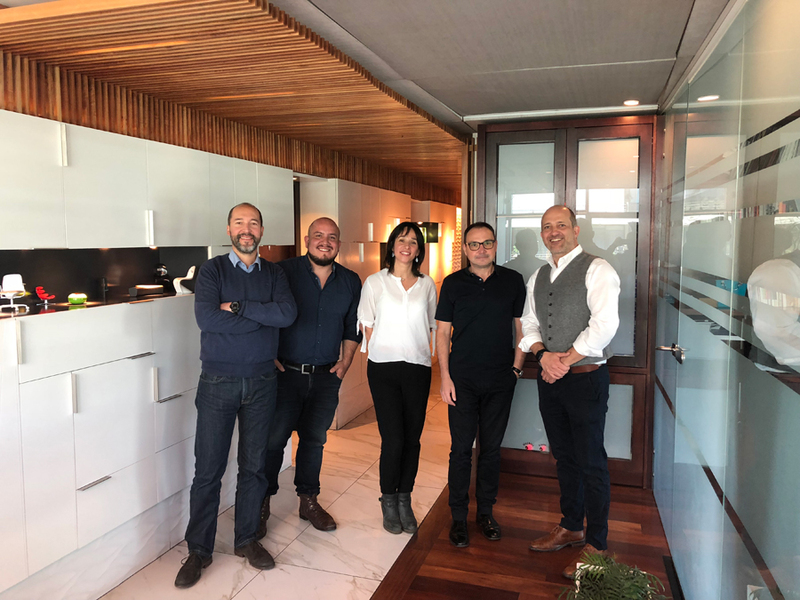 David’s first day in Santiago began with a breakfast meeting with an architectural firm he met on the previous trip in June at the Planbim conference, Grupo Arquitectos. Now, firm friends, they discussed their architectural projects delivered using digital tools and how this results in increased efficiencies and a higher return on investment for architecture companies. The first day of the trade event began in earnest, with opening presentations from the Director of ProChile, Ambassador Jorge O’ Ryan Schütz, the Undersecretary of Finance Francisco Moreno Guzman, and the President of Sofofa Bernardo Larrain Matte. And, bringing an unusual and entertaining thread to proceedings, the plenary sessions from some of Chile’s successful start-up businesses were broadcast live on the Futuro Radio rock station. It’s not often that you’re treated to presentations around technology and innovation to a Judas Priest soundtrack! But, it was now time for the serious work where the 30-minute B2B meetings were to start. The 17 meetings spread over the two days were almost like a speed dating event where David was inundated with requests from architects that were interested in BIM and how it has been implemented in our practice. The meetings provided an opportunity to partner and explore synergies where we could offer advice and how to work in a more sophisticated way. David met some exceptional people, all of which are enthusiastic about how to embrace BIM in their businesses, and who wanted to make a connection specifically with DMA as the only UK-based business at the event. Day two began early again to conclude the scheduled meetings, but also to fit in a guided tour of the extension to the Chilean Metro. The city is expanding quickly, and the programmed extension to ease congestion is progressing at high speed to accommodate Chile’s largest and most densely populated conurbation of 7 million. As a sophisticated, innovative and outward-looking city, Santiago has a pressing need to improve its infrastructure that will be delivered through its enthusiasm for modern methods of construction. Attending the event was another great success for our practice. The interest and desire for knowledge from the delegates for forward-thinking approaches to construction are palpable. This interest is primarily driven by the Chilean Government’s national BIM Mandate which is based on the UK’s model and principles. Their government is completely bought-in to embedding BIM to generate a more productive construction industry, so they are particularly keen to hear how a relatively small practice such as ours has been so successful. Our connection and relationship with Chile has no doubt been aided by our close association with the Centre for Digital Built Britain (CDBB) who share the UK’s BIM knowledge and trade opportunities with countries around the world. From our initial involvement in 2016, we’ve worked closely with the CDBB and openly discussed the ‘how’ and ‘why’ of BIM implementation and digital innovation to global audiences. We believe that as an SME, and as an early adopter of BIM, our story proves that being digitally driven breaks down any size barrier. We certainly never intended to become internationally active, but our route to innovation is providing a knowledge platform to encourage others to be equally successful. There are clearly opportunities for UK businesses to get involved and help to promote and share their knowledge. Chile is an outward looking and innovative modern country leading the way in Latin-America, and we are proud to share our BIM knowledge in support of trade growth between our two countries.